After you choose which variable to test, you need to decide what defines success. A simple (and sadly, all-too-common) goal like “engagement” isn’t specific enough. Instead, identify a single metric that’s most important and/or valuable. 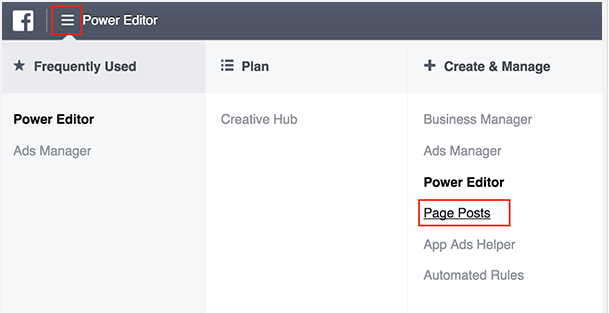 For example, you might measure shares, comments or link clicks. 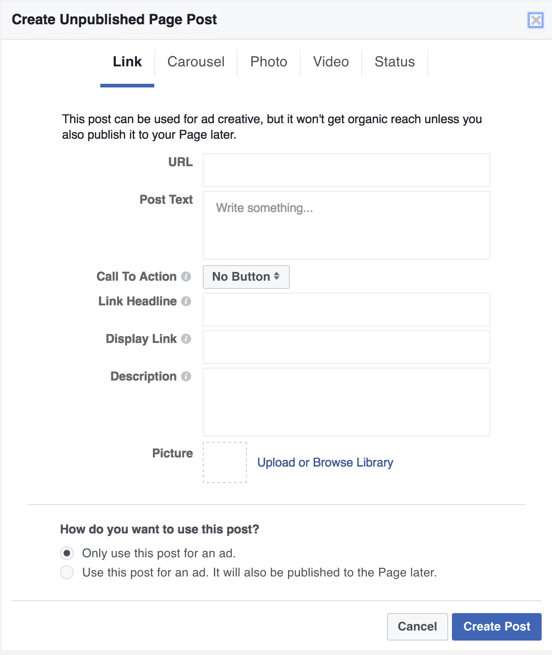 To prepare for the test, create variations of your Facebook post, altering the content in a way that tests only one variable at a time. 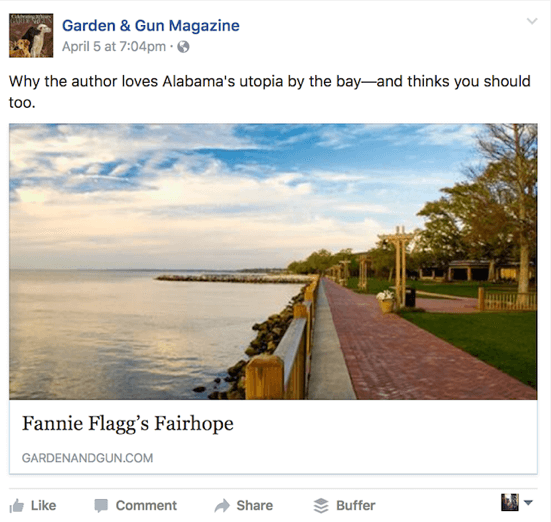 For example, for this Facebook share from southern culture magazine Garden & Gun, you could test the copy, image and headline. To test the post copy, you might create two variations in which only the copy is different. Whatever you learn, a social media test on Facebook is a great way to maximize your social content. You can learn what voice, image types and headlines work best to get your audience to click, like and share. And you can maximize what you learn when you take these lessons from your paid A/B tests and extrapolate them to your organic posting. This article was originally published on Social Media Examiner.